"Petal Fresh" Lil' Bits contains several premade combined elements that help you to easily create a well put together card or layout. 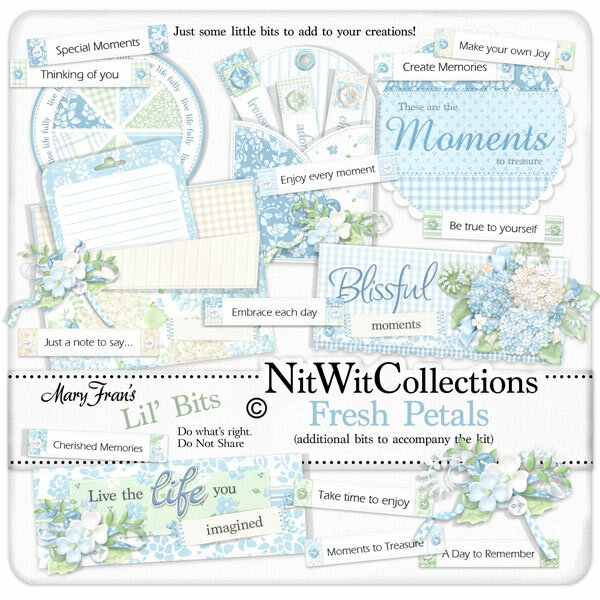 Elements in the Lil' Bits are NOT included in the "Petal Fresh" FQB. 1 Wordart - "Blissful Moments"
1 Wordart - "Live the Life you Imagined"
1 Wordart Circle - "Live Life Fully"
1 Wordart - "These are the moments to Treasure"